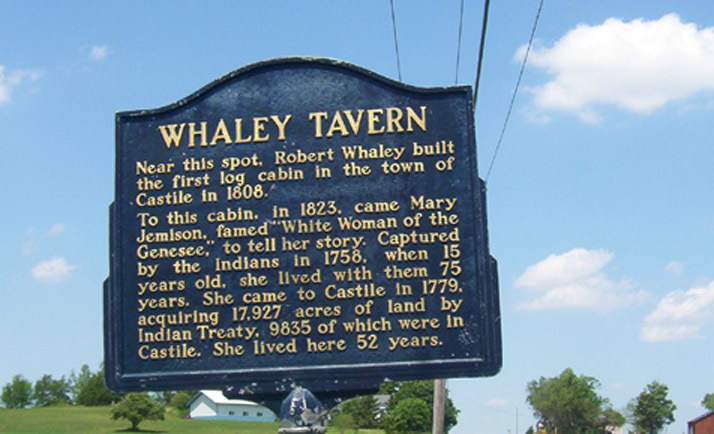 Whaley's Tavern was an important stopping place between Perry and Castile in pioneer times. It is also important as being the site where Dr.James Seaver interviewed Mary Jemison in the fall of 1823. The photograph below shows the historical marker that is found on Route 39 just north of Castile.